01 Apr Is Blockchain Real Estate Transactions a Reality? Is Blockchain Real Estate Transactions a Reality? 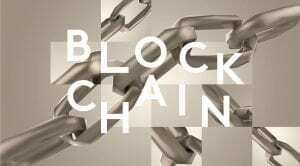 In 2018, blockchain was used by millions of people across the world, in a varity of industries. While the real estate industry has been slow to embrace this futuristic concept, the technology could change the way that real estate is bought and sold. There are three basic benefits driving blockchain, and those are security, transparency and efficiency – all three of which matter greatly to home buyers, homeowners and renters. Let’s break them down. Security: this might be the most compelling reason for blockchain technology. It is a decentralized, peer-to-peer platform and the way records are stored online using distribution ledger technology (DLT) makes is difficult for hackers to access the data. That is just one element of the security that blockchain offers. There is also encryption and authentication. Transparency: because there is no editing or updating once a transaction is entered on a blockchain “block” it makes fraud nearly impossible. In order for a change to be made, that specific block would need to be updated on every computer that has access to the data. In addition, every party to the transaction has immediate access to all information, which saves time and human resources. Efficiency: because everything happens in real time with blockchain, there could be a significant decrease in the time it takes to complete a real estate purchase or sale. Some experts believe that blockchain technology in the real estate transaction could be a way to move the industry forward, and put buyers and sellers in an equal position. What are your thoughts on blockchain and real estate? Is it a reality? Drop us a comment below!